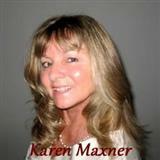 Karen Maxner has lived in Colorado for 25 years and moved to Montrose, "The Gateway to the San Juan Mountains," in 2000. Karen has two daughters that she enjoyed raising on the Western Slope and cherishes the fact that she has been able to raise them in a town that is as wealthy in outdoor activities as it is in culture. On a summer day, you will find Karen hiking, mountain biking, camping and bird watching at the nearby State Parks in the San Juan Mountain Range. In the winter, Karen likes to visit those same recreation areas to cross-country ski and snowshoe. Karen has a degree in Architecture and 23 years of experience in construction and project management. She gained her Real Estate License in 2005 and in addition to real estate sales, has managed her own and her clients' residential properties for over ten years. Before acquiring her real estate license, Karen personally invested in rental properties. This experience, as well as her expertise in both construction and property management gives her an edge on the current investment market which she passes on to her clients. A successful and driven entrepreneur, Karen founded Prestige Real Estate and Property Management LLC in 2009. Since then she has managed more than 80 properties through the Property Management sector of the business and sold many homes, ranches and commercial properties/business opportunities while being a full-time Real Estate agent. In the last two years, Karen has ranked among the top realtors in Montrose. This accomplishment is attributed to her dedication to being a full-time, committed and enthusiastic Real Estate Agent.